Vorsterman was a Dutch landscape painter, pupil in Utrecht of Herman Saftleven (1609-85), who came to England during the reign of Charles II. 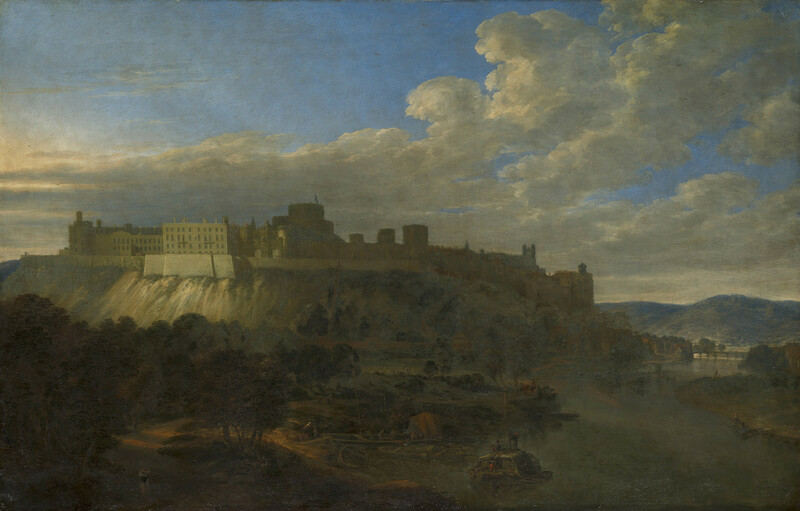 This is one of a pair of views of Windsor Castle (OM 418-9, RCIN 405265 and 406508), which are described as Vorsterman in the inventory of James II and can therefore be attributed with some confidence; they seem likely to have been executed for Charles II. This view shows (and picks out in a sun-burst) the re-building work at Windsor Castle carried out for Charles II by Hugh May in 1673-7. This campaign provides a date for this painting of 1674-80; view painters often depict building work completed when in reality it is in progress, especially if they are working for the patron.